Shaving A Shedding Dog – Yes Or No? Spring and summer could be nightmare-ish seasons for all guardians of shedding dogs out there, so some dog owners wonder if they should just shave the coats off of their pets. We are here to try to persuade you NOT to. Dog’s coat acts like the insulation in your home. It keeps your furry friend from getting too cold in the winter, but it also protects him/her from getting too hot in the summer. 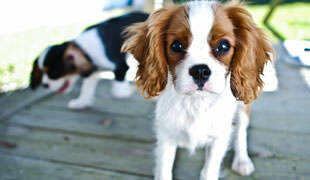 What many dog owners don’t know is that animal’s coat protects against sunburn and skin cancer. 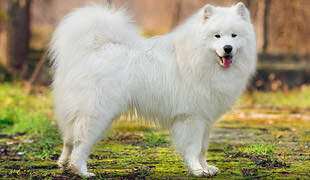 Canines that have thin, white, or light-colored coats are especially vulnerable to sun damage. This is why dogs can and should handle wearing their natural coat, however it is supposed to be maintained in good condition at all times. 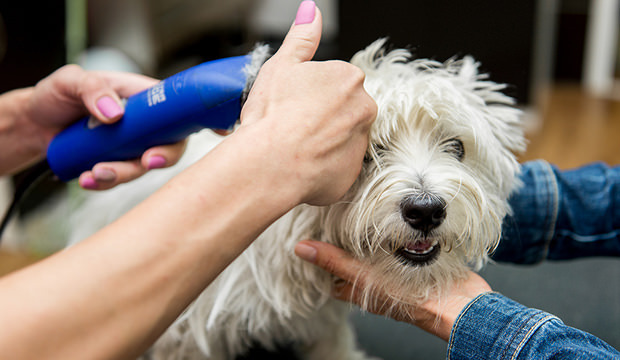 If your doggo has recurrent hotspots or other skin conditions, he/she will be better off with shorter hair so their guardians can manage their skin conditions more effectively. 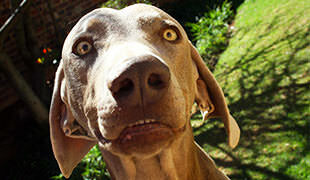 Trimming is also useful in dogs that can’t clean their private areas very well, so keeping the perianal hair trimmed away is a more hygienic solution for these canines. As far as double-coated breeds are concerned, these rascals should never be shaved (unless there’s a medical reason for it). As we mentioned above, their undercoats act as an excellent insulator against the unwanted sun and annoying summer heat. Yes, although it seems a bit counterintuitive, that extra layer of fur is actually helping Fido stay cooler during hot periods. Since air acts as a natural insulator, this extra layer of fur keeps air trapped between the hair follicles, keeping your dog’s body temperature in balance.